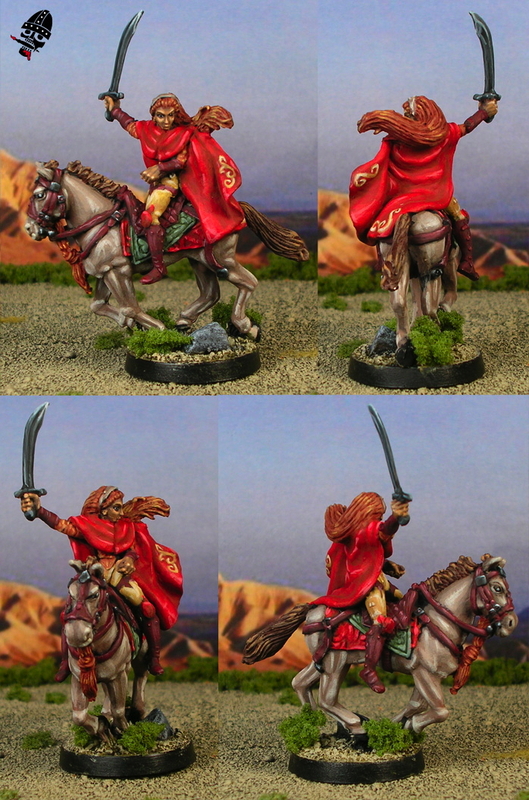 This figure started life as Reaper Miniatures Ophelia, Daughter of the Whip, which was a female warrior on foot, and a random barbarian horse from Harlequin miniatures. It was an easy-ish conversion. I swapped the whip for the sword that you see, removed the dagger and moved the hand into a riding pose, and then sculpted the cloak. I am uite happy with this one! It is the mounted version of the female druid on foot that I did earlier this year.